The first event of its kind, the Skate Exchange in Tokyo, Japan was an iconic and perspective shifting moment for women’s skateboarding worldwide. Over the course of five days, skaters from across the globe congregated in Tokyo, Japan to take part in the Skate Exchange. The experience organized by the Women’s Skateboarding Alliance in partnership with B-Global Agency and powered by JTB set out to unite skaters across the globe for a cultural exchange but also to show the world the true essence of skateboarding. Skaters came from all over; Korea, the Philippines, Thailand, the U.S and Japan, to together experience the city and this unique event – from exploring the streets of Harajuku and Tsukiji Fish Market to skating the Komazawa skatepark and Shibuya crossing. During the main public event, at Murasaki skatepark on Saturday (December 1), more than 1000 skaters and spectators were in attendance, including Olympic ice skaters, Maia and Alex Shibutani, and five of the biggest Japanese TV stations. It was said to be the biggest skate event of the year at the park. The atmosphere was buzzing, with skaters as young as two rolling along to be inspired and get involved. Before the best trick contest kicked off, 33 children and youth from local schools and charities took part in a clinic supported by Levi’s, with pros such as Jenn Soto, Mariah Duran and Lacey Baker getting hands on to help. Spectators enjoyed the laid-back contest which included local up and coming skaters throwing down tricks alongside seasoned pros. Japanese skater Nanaka Fujisawa took the top spot but all the skaters wowed the audience and enjoyed a relaxed, fun competition, with Alexis Sablone putting down the final crowd pleasing trick with a kickflip down the gap. Many local skaters said it was the best week of their lives, and something which would change women’s skateboarding in Japan and the world forever. For more information on this press release please contact info@womensskateboardingalliance.com. Further imagery can be found in the Skate Exchange post event press kit (credit Hannah Bailey @neonstash). Further image use than alongside the press release must be authorised first. Women’s Skateboarding Alliance (WSA) (@thealliance_wsa) is ​the authority in ​authentically ​represent​ing​ the voice of women’s skateboarding. 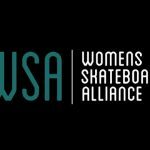 WSA is the premiere women’s skateboarding sport organizer in the world, and operates in conjunction with its nonprofit division, Action Sports Alliance (the Alliance). Since 2005, the Alliance and WSA have ​created and produced the ​most exciting women’s skateboarding events in the world including X Games, Street League Skateboarding, ​and ​Dew Tour,​ among others. With expertise in brand development, marketing strategies, and talent sourcing, WSA passionately continues to grow participation in women’s skateboarding while creating authentic ​consumer experiences worldwide. B-Global Agency (@bglobalagency) is a global sports agency that represents a diverse group of clientele ranging from MLB and tennis to Paralympic athletes. In addition to athlete representation, B-Global Agency provides consulting services for corporations looking to enter or expand their businesses within the sports industry. Utilizing its expertise in Japan and the United States, B-Global Agency is committed to spreading the power of sports on both sides of the Pacific. JTB is one of the leading travel agencies in the world specializing in leisure and group tourism around the globe.